Brian Hoops is President and Senior Market Analyst of Midwest Market Solutions, Inc.
Brian began his career in the commodity business in 1999 and founded Midwest Market Solutions in 2002. Since that time, Midwest Market Solutions is widely recognzied as one of the top marketing advisory and brokerage firms in America. The company has grown to include 10 offices nationwide and 12 licensed brokers; helping clients with speculative trading, personalized marketing services and full service brokerage transactions. Brian publishes the Market Insider Daily and Weekly Newsletters for clients and updates Market Insider TV twice a day. Brian is a frequent guest on RFD TV, Your Ag Network, WHO Big Show, MGEX and Commodity Wrap on Sirus XM radio. Brian can frequently be heard on radio stations across the country including KAYL, KKIA, Ag News 890 and the Red River Farm Network. Brian also writes several newsletters that are published throughout the Plains and the Midwest, covering the states of Iowa, Minnesota, North and South Dakota, Nebraska, Kansas, Montana, Wisconsin, Wyoming and Idaho. Brian has been quoted in the Wall Street Journal, Bloomberg, Reuters and Dow Jones newswires and U.S. Farm Report. 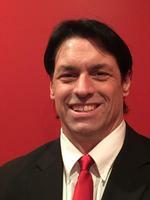 Brian graduated from Northwestern College in 1991, where he was a 2 time All District baseball player and team MVP. Brian started his career in the banking industry and was a Vice President of a Northwest Iowa bank and also worked for American General Finance. Brian grew up on a grain farm in Northwest Iowa.